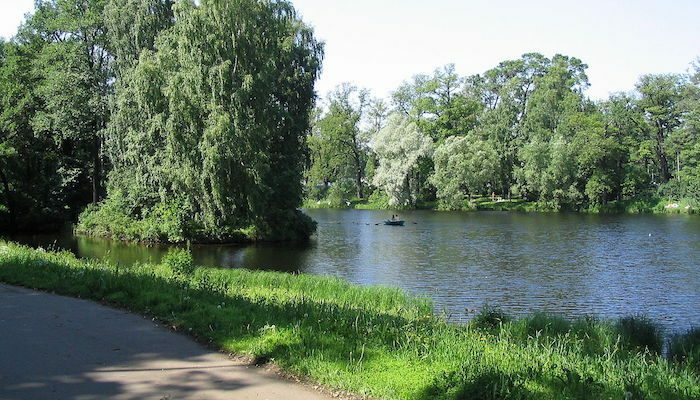 Tucked away on its own island northwest of St. Petersburg, the sprawling green space of Tsentral’nyy Park is surrounded by the mouth of the Neva River on all sides, with a smattering of lakes to add to its waterfront beauty. Visitors love this area for its museums, culture, and long paved waterfront paths. It’s a great spot for a peaceful, traffic-free run. It’s about 5 km around the island’s perimeter paths. Good views of the Datsan Gunzechoyney (Buddhist Temple) on the north side. Can also enjoy some additional interior paths of the island. Elagin Island also hosts Parkrun, a free group 5k every Saturday. You can see the race course and learn more here.